The Life's Way: @LGSouthAfrica Air Conditioners - Does Children Room Need One? @LGSouthAfrica Air Conditioners - Does Children Room Need One? Ever contemplated if you should install an air-conditioning unit in your children’s room? LG Air conditioners offer you the ideal air-conditioning for energy efficiency, perfect health care with powerful cooling and heating solution, all while operating in complete silence. Babies, particularly new-borns, can't adjust their body temperature as well as adults. This makes them vulnerable to overheating and heat-related illnesses such as heat rash, dehydration, heat exhaustion or heatstroke. Some experts say that a properly cooled and ventilated room helps your baby to sleep comfortably and reduces the risk of SIDS (Sudden Infant Death Syndrome). The most comfortable airflow for the human body can be found in nature. After analysis, LG has applied the scientific Chaos theory to its air conditioners to effectively reproduce a natural breeze. The Chaos technology recreates the flow of natural air by controlling the angle speed and movement of the air vane. It also minimizes the temperature difference between high and low areas in the room, creating a more comfortably conditioned environment your family. The powerful plasma lonizer protects you from odors and harmful substances in the air with over 3 million ions to sterilize not only the air passing through the air conditioner, but also surrounding surfaces for a safer, cleaner environment. With all these wonderful features, there is nothing to worry about as LG Air-conditioning units is the perfect accessory for every modern household. With an extension on the warranty for its residential air conditioners’ (RACs) inverter compressor to a full 10 years. A respected leader in the global air conditioning market, LG has long prided itself on its innovative inverter compressor technology. The extension of the warranty reflects the confidence that LG has in the reliability of its top-of-the-line residential air conditioners. 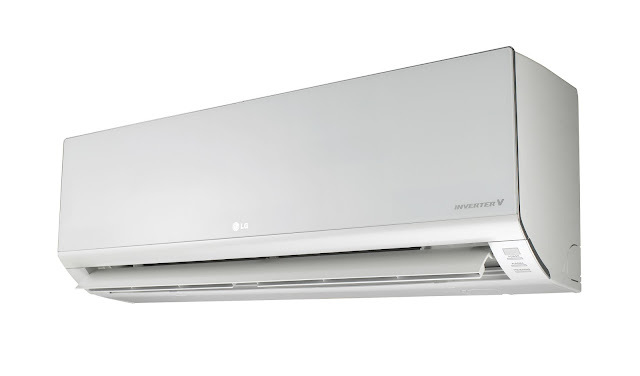 The advanced inverter compressor allows LG’s air conditioners to provide consumers with a highly energy efficient, powerful cooling performance all while operating at near complete silence. The advanced inverter compressor has the ability to control cooling output, allowing the air conditioner to reduce household electricity usage. LG’s inverter compressor makes it easy for consumers to cut their monthly energy bills. Leaks in ducts or dirty filters can end up costing much more than the average homeowner would expect. This is why in the long run, finding a quality certified hvac repair north salem specialist to do routine tune ups can potentially save you thousands of dollars. Despite the fact that the quantity of compressor types is often overwhelming,portable air compressor selecting the right unit can be made easy by asking a few essential questions.